This is a fancy, intoxicating, luxurious brew. The kind that makes you instinctively curl your knees up on the couch and let out a sigh that encompasses all of the bad things of the day. Then you breathe in the aroma of lavender and dark chocolate and the world seems new again. Winter seems wonderfully inviting. The gloomy world outside doesn't have anything on this lovely drink's effect on your happiness. 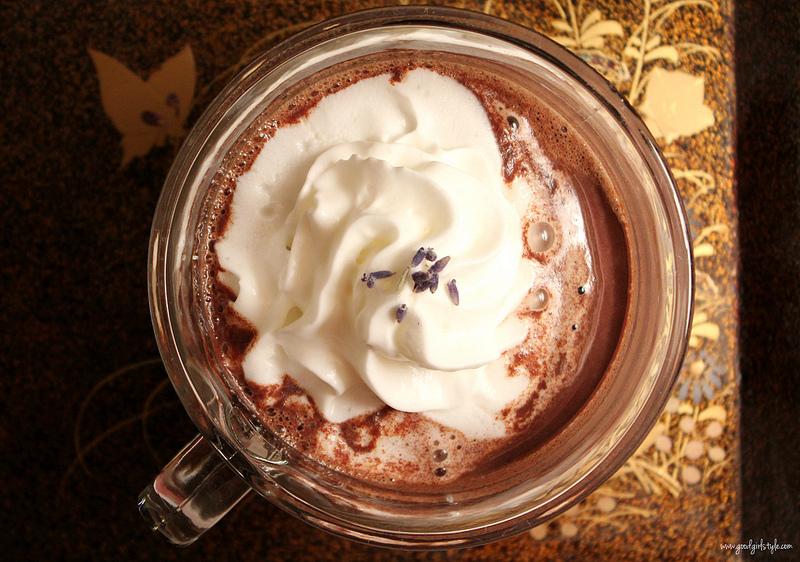 I can't imagine anything much better than a hot bath, followed by a cozy blanket and this hot chocolate. Go ahead, pamper yourself. Bring milk and lavender to a simmer in small pot. Remove from heat and let steep 10 minutes. Strain the lavender out and return the milk to the pan. Add the dark chocolate, powdered sugar, vanilla, and salt. Whisk until chocolate melts and incorporates. Pour into mug, top with whipped cream, and enjoy. 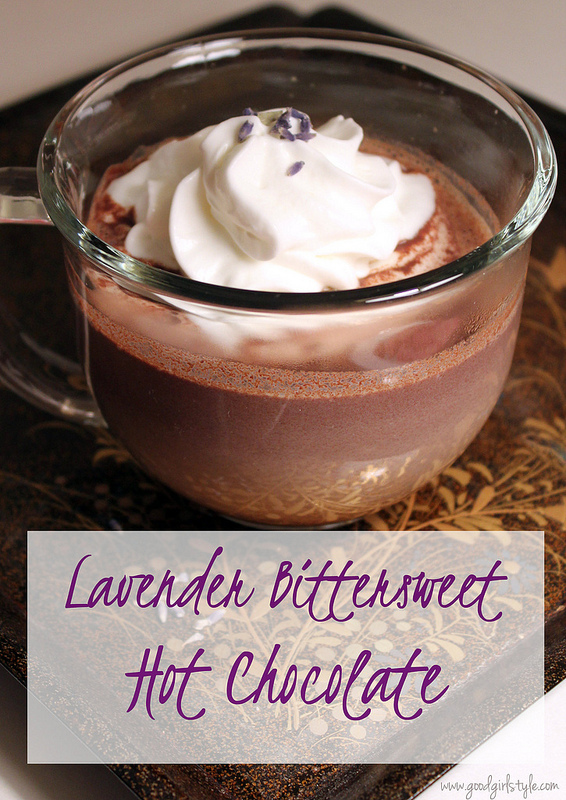 Thanks Natalie for using Lost Mountain culinary lavender for this yummy recipe. Our culinary lavender is a blend of four varieties of lavender grown here on the farm. No problem! I love your lavender :-) Thanks for stopping by! This sounds delicious. I could really use it today!